So how many Surface tablets did Microsoft sell over the holidays? Fortunately there are plenty of analysts out there who care deeply about this. By which I mean: There are two tech writers, Steve Kovach of Business Insider and Paul Thurrott of the Supersite for Windows, who care enough about this to have a fun argument about it on Twitter. The upshot of their nerd fight is that Microsoft appears to have sold somewhere in the range of 1.5 million Surface tablets in the December quarter — more or less. Their estimates come from deducing the Surface average selling price (ASP) and then dividing the revenue figure by that number. The ASP depends on the mix of Surface Pro sales vs. Surface 2 (RT) sales, which Microsoft also doesn’t disclose. Thurrott bets that the ASP is around $580, and Kovach estimates that it’s somewhere around $600. So despite their lighthearted jousting on Twitter, they’re actually pretty close to a consensus. Paul Thurrott is the biggest name in Microsoft reporting, and has been for a long time. He has no anti-Microsoft agenda. Quite the opposite. If anything, he would seek to spin the figures in the best possible light. If he could make the numbers look better while maintaining an ounce of integrity, he would do it. There is no reason to believe that the numbers are better than what he suggests, They still might be worse. Let's put the numbers in perspective. 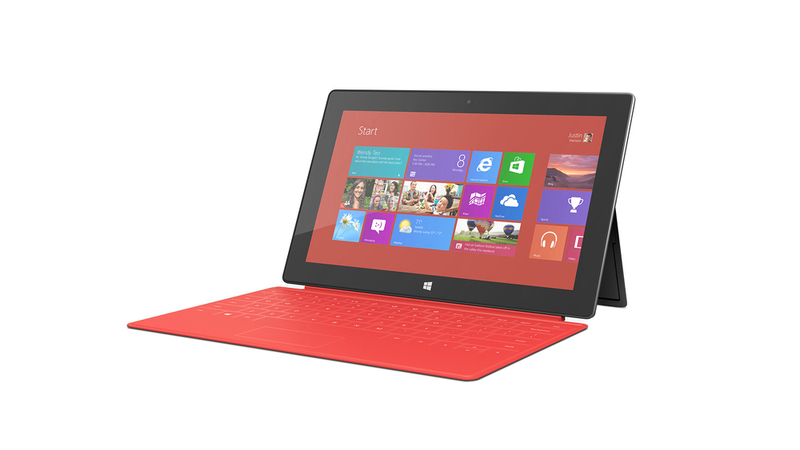 At best, Microsoft sold 1.5 million Surface tablets. Compare that to the 26 million iPads Apple reported for the holiday quarter. You will have to multiply Microsofts efforts by 17.3 to be competing with Apple. If Apple didn't sell another iPad, while Microsoft continued to sell at the holiday level, it would take Microsoft over 4 years to equal what Apple did in three months. Remind me again why Microsoft is putting so much effort into their iPad killer that isn't? What about the bottom line? On Microsoft’s earnings conference call Thursday afternoon, an analyst noted that the Surface was still unprofitable, to which finance chief Amy Hood pointed (essentially) out that the original goal wasn’t for Surface to be a big cash cow, but instead “to create a product that showcased what can happen when you innovate in hardware, in the service, and in the software. Let me get this straight: The goal for the Surface is to not make money. Check. By that criteria, the Surface is doing just fine. Since the Surface is still unprofitable, it is in no danger of becoming a cash cow. It's not even a cash dung beetle at the moment. If the goal is to show partners what can be done if they just put their minds to it, that is also problematic. Partners like making money. Microsoft is trying to show them how to design a product that the people would line up for. The only problem is that precious few people have shown any interest in owning a Surface. All Microsoft has shown their partners is how to lose billions of dollars on a questionable design that people generally do not want. Thanks Microsoft. Your partners already knew how to do that. I can't even give Microsoft that much of a pass. If all they wanted to do was provide a reference design for a Windows 8 hybrid, they could have provided prototypes to their partners in private. If they didn't want the Surface to sell a lot of units, they didn't have to make it available for sale. Not only did they sell it, but for a while, they did so exclusively in their own stores. This guaranteed that most customers looking for a hybrid would never see the Surface. If the Surface was intended to be a rising tide, it was sold in such a way that it would not raise all ships. Moreover, there are the uncounted millions, if not billions of dollars Microsoft spent on promoting the Surface. They advertised it relentlessly on some of the most expensive media properties. Not only that, but they positioned it specifically against the iPad. This, despite the fact that Android tablets outnumber iPads. Microsoft understands that the iPad is the only tablet that matters, and they thought they had an iPad killer on their hands. They absolutely wanted to make money, iPad money, not Galaxy Tab money. Let's make sure this is crystal clear: Microsoft wants to sell a boat load of Surface tablets. So far, that boat is only a kayak. They want it to be a cash cow. They are selling it in every market they can, spending a king's ransom on advertising, and positioning it against the most popular tablet in the world. They want to do these things. They just can't. This is why they obfuscate their numbers, and lie about their goals. It is pride, not business that keeps them in this market. Perhaps that will change when Balmer has said his final farewell.